Mister Pip by Lloyd Jones. The book chooser gave us a perfect introduction to why she chose this book for us. She read this years ago and re-read it recently to see why she liked it so much. The central premise appealed to her, that is, the power of Literature to transfer people’s lives. It is told in simple language, which increases the shock the reader feels towards the end when the violence is described. She was touched and moved by the theme of what Literature does to people’s life. We can compare people in our own lives to those in Literature, and it chimed in to what Literature means to her. …how it was an interesting and true portrait of a child. It was never patronising and didn’t talk down to them. Instead it was simply a great portrayal of childhood. Often it was difficult to believe it was a middle-aged New Zealand bloke writing it. …the theme of cross pollination, and how the boundaries between truth and fiction are blurred. …that is shows the importance of a good teacher, and how a good teacher harnesses the power of storytelling. Regardless of a child’s talent or interest in a particular topic, a good storyteller has the power to influence a child. …that the ending was slightly weak, and that it was possibly tying too hard to tie up loose ends. …that the violence came across less strongly in the audio version than when reading the novel, and lost its impact. By the time one reader reached the point where the soldiers arrived they no longer cared about the characters that much. 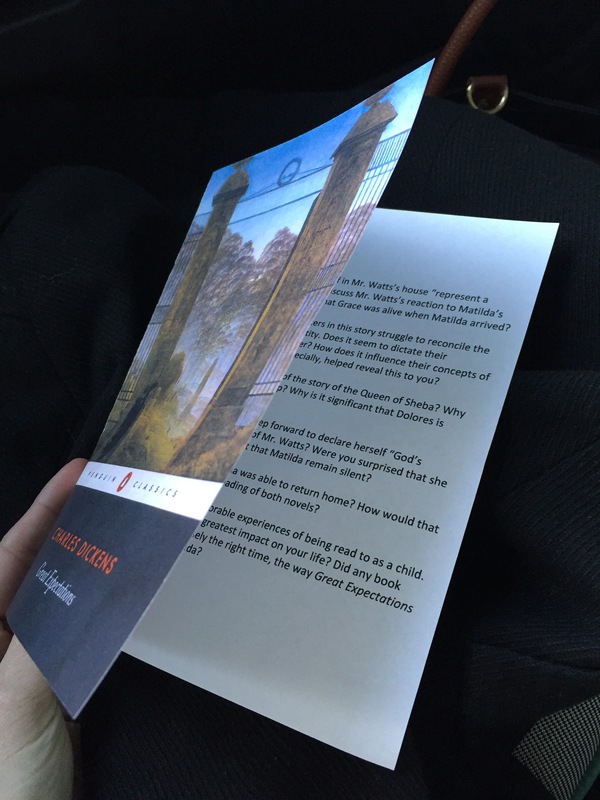 This reader hadn’t read Great Expectations and consequently got fed up of constant references to the novel. …about the audio narration. One reader felt that the audio narration left them uninspired, whereas another aid book user thought the narration was beautiful. …about the importance of the setting – some thought that it was set in the Caribbean. Some thought that ultimately it wasn’t about the exact place. Others were emotionally disengaged with the characters so wanted to know more about the specific location and to learn exactly what it was like for a child growing up in Papua New Guinea. Most of us thought that it didn’t matter where it was, and that it was a true portrayal of how all over the world there are small pockets of population who aren’t involved in but are hugely affected by civil war. …about the narrator. There was a split down the group about this. Some of us thought that it was a young boy narrating, possibly because of the discussion of Mister Pip, and some said that they kept forgetting that it was a male author because of how well he wrote in the voice of a young girl. …And talked about how people can get jealous of characters in books, and that books can make people feel excluded like the mother in the novel. There was no narrative around the relatives in Matilda’s family – just facts that she had to learn. …And talked about how listening to an audio version versus reading a paper copy results in very different reading experiences. …And talked about the abridged version on Audible was more true to Judy D than the real one became because it was the first one they listened to. God of Small Things by Arundhati Roy – White Hart, Llangybi, last Weds In May, 2016, 7:30pm.